In a country that garners superlatives for its landscape and culture, Ireland’s heart, its region known as the Midlands, is often overlooked by travellers. The western destinations of Donegal and County Kerry steal attention for their dramatic scenery and world-renowned musical destinations. On the eastern half of the country, the capital city of Dublin is a magnet for tourists wanting to discover Ireland’s cultural history and nightlife. The Midlands are under-publicized but no less deserving of a visit. The food scene is outstanding, with producers creating some of the best dairy products in Europe and raising ethically sourced meat and game. Craft brewers are emerging and artisan suppliers are starting to flourish. While the land has always been lush and fertile — all that rain does have its benefits for the Emerald Isle — recognition has taken some time, according to one of Ireland’s leading culinary proponents, chef Ross Lewis of Dublin’s Chapter One restaurant. He says the Great Recession that started in 2008 caused hardship but also led to entrepreneurship with long-lasting benefits. 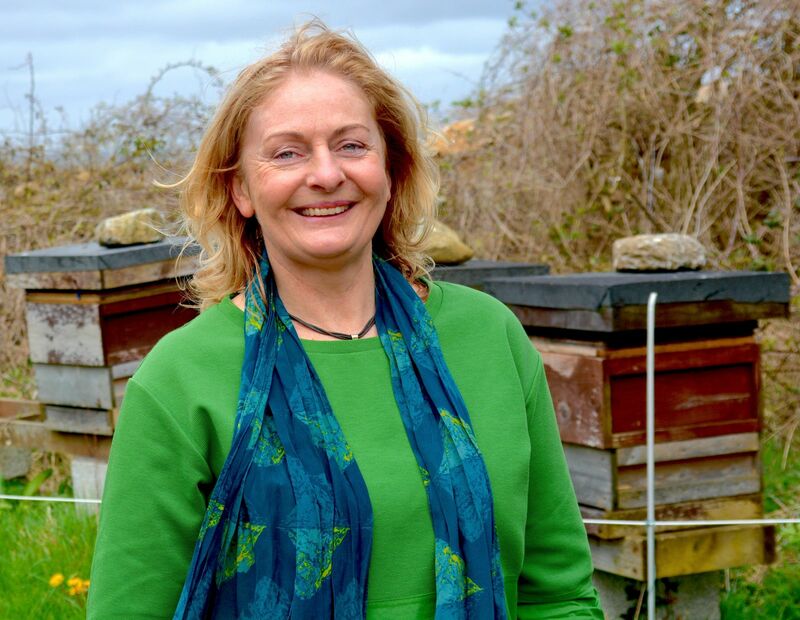 Among the farmers doing unique things is Ailbhe Gerrard, whose Brookfield Farm in County Tipperary offers the public the opportunity to own a piece of a working beehive. Options range from a one-eighth share (95 euro, $110 USD) to ownership of a full hive (430 euro, $500 USD), and the benefits of what it produces. Hiveshare owners receive jars of honey at harvest time, as well as a gift box with items such as beeswax candles and balm. The amount distributed to owners depends on their level of hiveshare ownership. Perhaps the most enticing reward is the chance to attend Gerrard’s Honey Celebration — an annual festival where hiveshare owners can participate in the harvest and meet their bees, and the beekeeper. 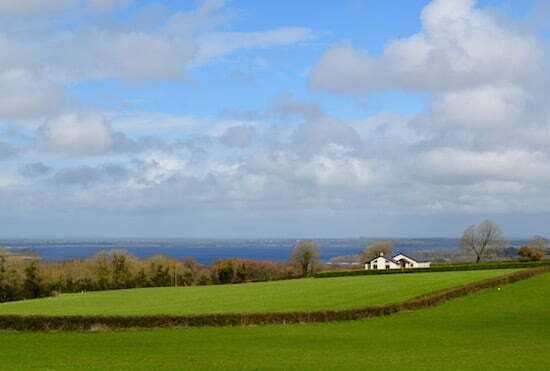 There’s also the chance to tour the rest of Brookfield Farm, which is a beautiful, sprawling property with a stunning view of Lough Derg, a 25-mile-long (40 kilometres) body of water that is full of sights and activities. 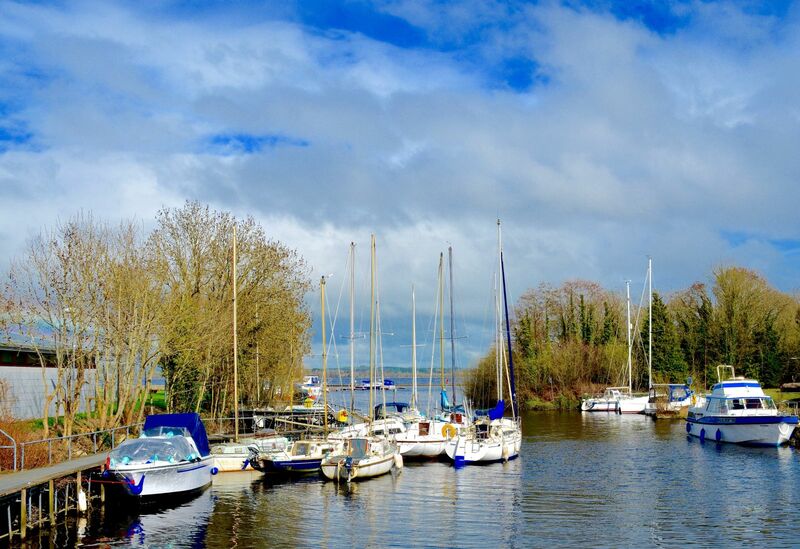 Once you glimpse it, you will want to get to know more about Lough Derg. The best way to do that is to head west from the town of Nenagh, where Brookfield Farm is located, and toward the tiny municipality of Garrykennedy, where a small harbour invites you to linger near the shore. 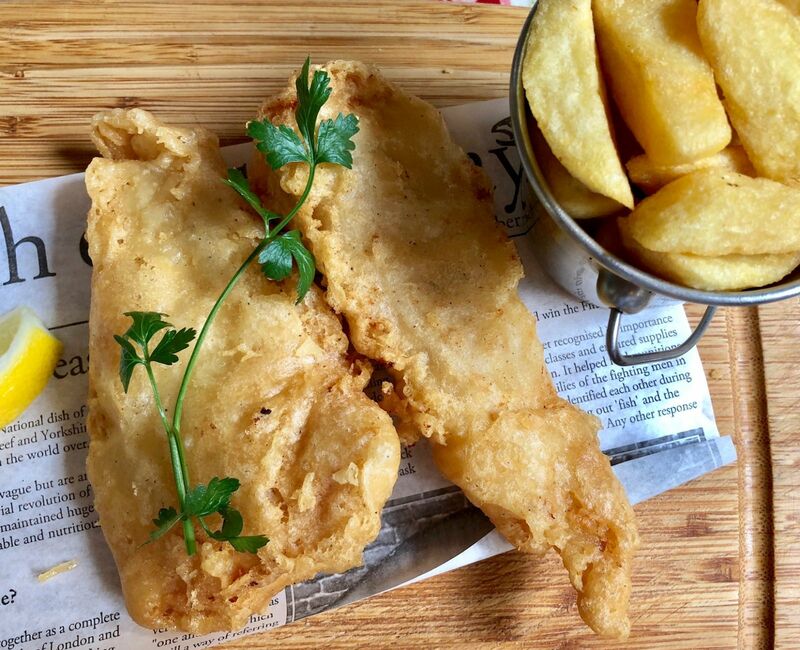 You’ll be tempted to enter Larkin’s for an order of fish and chips and a refreshment of your choice. And you should act on the urge. Larkin’s is a country pub that has been serving food and ale on the lakeshore for more than three centuries. Its exterior maintains a thatched roof and white walls while the pub’s inside is spacious, up to date, and comfortable. Music occurs nightly and the fish and chips orders are constant. You can enjoy them with a Guinness, but opting for a local craft beer would broaden your Irish palette. Once satiated, venture about 12 miles (20 km) southwest to the charming sister towns of Killaloe and Ballina. A lovely bridge that traverses Lough Derg separates the two locales, and their counties. Killaloe is in County Clare while Ballina is at the westernmost point in Tipperary. Visitors to these conjoined towns will want to stay at the Lakeside Hotel and Leisure Centre in Ballina, a 15-minute walk to Killaloe that takes you over the bridge. The hotel features outstanding pub fare, large rooms, and quaint gardens ambling alongside the lakeshore. It’s not the Ireland you may be used to seeing or hearing about, but that is one of the key reasons why Tipperary is very much worth experiencing. 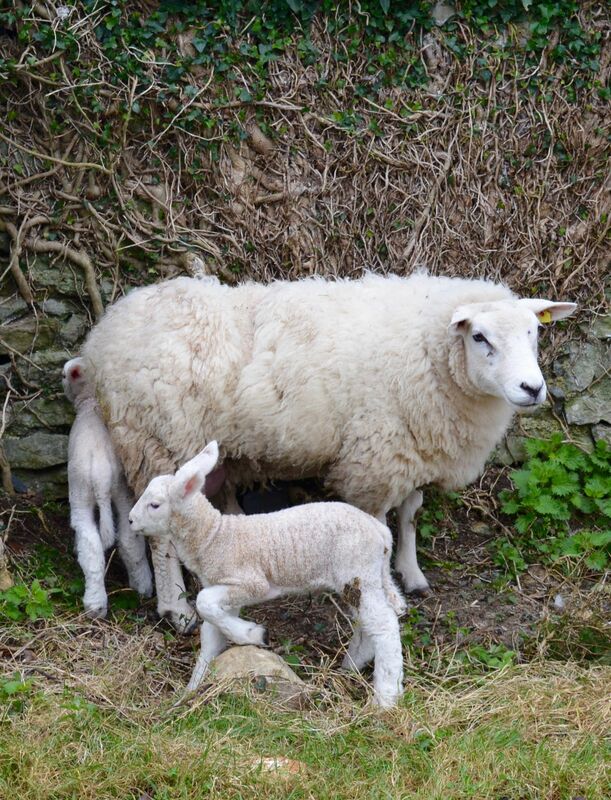 To discover Ireland for yourself and explore beyond the well-trodden tourist tracks. Getting There: Tipperary is easily reached from Dublin via the M7 highway (90 minutes) or on the national railway (approximately two hours on an express train) or bus service. Where to Stay: The Lakeside Hotel and Leisure Centre in Ballina is an outstanding spot to base your stay in the Irish Midlands. Nightly Rates: A recent search of the hotel’s booking engine returned a starting rate of 110 euro ($130 USD). Art and Agriculture Spark Dublin’s Restaurant Scene — Check VacayNetwork.com’s article featuring Michelin-starred Chapter One, where executive chef Ross Lewis has been championing Irish cuisine for more than a quarter century. Read More. Craft Beer in Ireland Finds Inspiration in North America — White Gypsy is producing high-quality lagers and ales, and doing so with a nod to Canada and the United States for helping it find success. Read More on Vacay.ca.